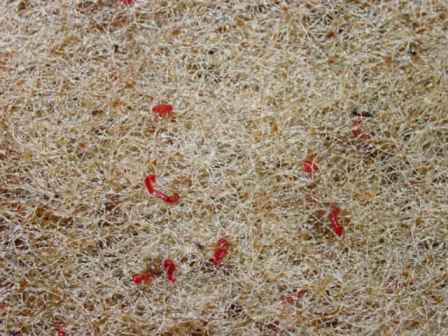 In the piece of white filter matting you will see little red worms. These are Blood Worms. They are only found in healthy systems because they can not live in dirty water. Blood worms are about 5mm long and 1mm in diameter. They appear smooth - no legs, hooks, teeth, eyes, etc, bright red in color.